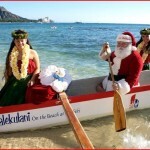 ← Santa Claus’s 2012 Valentines Vacation Battle With The Anti-Claus! In Part One of the Mrs.Claus Chronicles, Santa Claus had saved the Baby Mrs. Claus, aka Holly McBride, from the evil clutches of his dark demonic twin brother the Anti-Claus. Santa had solid supernatural countermeasures in place to perpetually protect the McBride Family from the Dark Claus, and most other supernatural threats! All was well even as the War Of 1812 raged on! It was August 24th, 1814, and Holly was still living with her parents in Washington DC at the age of 21. She had seen several potential suitors belonging to various prominent families but shunned all attempts at her parents arranging a marriage. She felt deep within her heart that she had already met her soulmate but simply couldn’t remember. Nobody else felt right to her. She was sitting on her porch on that warm Summers day trying to remember who her dream man was when the British attacked. They burned down the White House, then known as the Presidential Mansion, and lay siege to Washington DC. President James Madison, and other key members of the government, managed to escape. However the McBride’s were some of the families forced to quarter the Redcoats. One especially wretched officer made lewd advances on Holly, and demanded she marry him on the spot! Daniel McBride, Holly’s Father, wanted to intervene but some voice in his head told him everything would be alright, and he should be patient rather than risk his life. Had he tried to save his daughter he would have surely died. Not to mention the reprisals against the rest of the family! The rogue British officer grew angry as Holly shunned his advances. He took her defiant refusal to marry him as a deep insult to his bloated ego. He finally had enough, and dragged her up to her bedroom while other soldiers held Holly’s horrified parents back. They screamed out for the preservation of their daughters purity while the troops laughed maniacally. It seemed all hope was lost as he threw Holly onto her bed. Suddenly someone tapped his shoulder in a closed room nobody else could have been in. He turned around, and it was Santa Claus! The officer was stunned that some white bearded guy appeared out of thin air! Santa then said,”This hurts me far more than it hurts you son!” He then punched the officer square in the kisser, and knocked his lights out with extreme prejudice! Santa then muttered,”You’re on my Naughty List for life!” Santa is a peace loving man of Angel lineage that strives to avoid violence as all costs. Although in this case he felt the response to the soldiers despicable act was warranted. Holly arose from the bed looking upon Santa in awe as her memories returned in a flash. Memories from being a baby that no human should be able to recall. She remembered being kidnapped by the Anti-Claus, and being saved by Santa. She then said,”It’s you! How could I possibly have memories from the first day of my life?” Santa then took her hands, and smiled warmly,”I am the Immortal Nicholas. My Father is an Angel from Heaven. My Mother is a human who rose to Heaven. I have special powers, and abilities beyond that of mere mortals. I can perform miracles of all kinds! Despite all of that the beauty of your soul is beyond anything I could ever hope to accomplish in all eternity!” Holly blushed, and was surprised at how attracted she was to an older, yet extremely handsome, and tall muscular man. 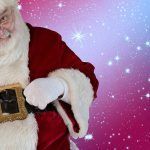 Santa then said,”Do you feel the bond we share?” Holly answered,”Yes it’s beyond anything I can describe!” Santa responded,”It is unlike anything I’ve ever experienced in all my 1,544 years on Earth! I believe we are soul mates who were meant to spend eternity together.” They then hugged each other, and kissed for the first time. Something that would have normally been quite scandalous at the time! Literal metaphysical energy sparks crackled about as their aura’s lit forth brightly commingling as one. Santa, and Holly spent several minutes together talking. She was deeply amazed by the revelation of his supernatural existence, and the eye opening enchantment of the greater paranormal planet! Santa Claus Saves Washington DC! As the happy couple conversed, two of the soldiers downstairs headed up the steps because it was too silent. They had expected to hear all manner of naughty noises bellowing forth! Seconds later they came tumbling down the steps while the rest of the soldiers were knocked out cold as a swirl of crimson flew about the first floor. It was Santa in all his metaphysical glory! Daniel was surprised, and said,”Nicholas is that you?” Santa replied as Holly came downstairs. He told her family his story, and how he was in love with their daughter. They immediately approved the union, and Santa decided it was time to clean the trash out of Washington DC. Yet he had to be careful in order to not violate The Supernatural Secrecy Pact. He mustered up the full force of his Angel powers. Especially his Meteorokinetic, aka weather control, abilities he only used on Christmas to cause localized snows, or delay blizzards so as not to impede his gift delivery. The Great Claus caused the formation of an extreme thunderstorm complete with tornado. All the fires the Redcoats caused were extinguished, and the eerie nature of the sudden storm spooked the British into retreat. Retreat not made easy with the storm destroying a number of British vessels! So that fateful day in 1814 Santa Claus not only saved his future wife Holly Claus but also the United States Of America! Various Archangels judged it as not being a violation of the Supernatural Secrecy Pact. It seems the storm was meant to be apart of human history. Demons on the other hand declared it a flagrantly illegal act of magic! Thankfully they had no way to enforce their grievance against Saint Nicholas! Nor would any higher dimensional court take the case. Santa, and Holly bid her family farewell as he flew away like Superman with her in his arms. 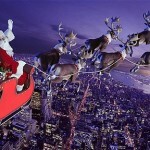 Indeed he can fly without sleigh or reindeer in tow! To North Pole City they went as Holly’s magical journey began. Of course it wasn’t that easy. 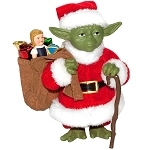 As a Demi-Angel Santa Claus had to adhere to various Heavenly rules in order to not be considered a Nephilim, or lose his Angel abilities thereby becoming a mere mortal human. Santa left Holly with his Elves as he entered the sacred Sarandiel Temple. A place of extra holy worship dedicated to his Archangel Father. The Archangel Sarandiel appeared as an apparition while Santa sought approval to marry Holly. Never before in his 1,544 years of life had he felt any wish to be with a woman. Especially when he looked upon all humankind in a Fatherly manner. His life was dedicated to the holy causes of his Angel half but now his human half was finally taking charge demanding love of a different sort. His father told him the only way he could marry Holly is if he sacrificed his Angel powers, and became human. Saint Nicholas didn’t even hesitate as he agreed to willingly let his powers go with the wind. For the first time in his life he gave into selfishness, and plausibly risk ending Christmas for the love of Holly. 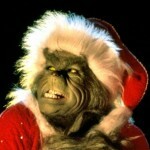 Although he would still attempt to keep the Spirit Of Christmas alive or find someone else to take over! Despite this he would still be a Saint since that is something humans bestow upon a fallen holy man. Sainthood is always honored by Heaven especially since the majority of humans will end up being citizens there someday! Citizens who are meant to eventually surpass even the Archangels in the afterlife! So as a human Saint Nicholas would still be somewhat superhuman courtesy of sainthood. Unfortunately this would mostly be limited to physical prowess, and enhanced senses. His Father was clearly disappointed until Santa’s Mother Marcia appeared. She was a human Angel quick to scold Sarandiel for his holier than thou attitude. However he said that was the Archangel hierarchy’s final decision. Santa approached his Father, and knelt before him. One touch to his forehead caused Santa’s Angelic DNA to revert to full Human form. His parents then vanished from his presence leaving him alone in his monumental decision. Santa, now truly Nicholas, walked outside as he looked around North Pole City realizing it somehow didn’t look nor feel magical anymore. Santa felt his heart sink as he gazed into the sky, and saw the holy light of the Bethlehem Star begin to fade away. Elves, and other enchanted entities came from all directions as they felt his Angel life force drain away. In turn North Pole City was beginning to die as well with the disruption in its metaphysical energy source. That mainly being the Christmas Crystal tied to Santa Claus. All who were Immortal began to unknowingly age. Holly came to the side of her distraught boyfriend as he told her, and everyone what he had given up for his soul mate. He was consoled by virtually everyone who seemed to understand his loving sacrifice. All except for Jack Frost who just shook his head, and said,”You’re a silly fool Santa! Just silly! You gave up our power for nothing but goofy love! I guess I’m in command now!” Santa replied,”Yes Jack you’re finally in charge. Still I pity you will never grasp what it is to feel true love!” Jack just scoffed, and stomped away somewhat happy he was no longer restrained by Santa Claus. At that point a snow storm raged forth, and everyone retreated indoors. Nicholas, and Holly sat near the warm hearth in Claus Manor planning their wedding at St.Nickolaus’s Holy Church Of The Northern Light. He wanted his Father to marry them but instead they would call upon his sympathetic Mother to imbue the nuptials. Suddenly the Anti-Claus kicked the door in, and screamed,”What the holy hell did you do Nick? I’ve lost my powers! I’m a disgusting human!” Since Santa, and Claude are identical twins they are opposite sides of the same coin while soul mates like Holly could be considered the missing half of one side of that coin. When Santa had his powers stripped so too did the Anti-Claus inadvertently despite his Angelic DNA previously descending to Demonic form. However he still could use his abilities as a dark warlock to transport to the now vulnerable North Pole City no longer cloaked by magic for anyone to find! Santa chuckled, and said,”Brother this is your salvation! A chance at a second start in life! Embrace the light, and join me as my best man in my marriage to my true love Holly McBride!” Claude walked over mesmerized by Holly, and he inexplicably apologized,”I’m sincerely sorry I kidnapped you as a baby. And brother I’m sorry for everything I ever did to you for countless centuries!” Santa, and Holly cried tears of joy as Claude joined their family. Santa responded,”All is forgiven brother! Let’s go to the church now, and begin planning the final, and happiest chapters of our lives. I just know you will find love as well!” They all hugged, and prepared for the wondrous wedding. Early the next day Enchanted Elves scurried about putting the final touches at the church, and at the Banquet Hall for the wedding reception. All this despite the continued snow storm that so far had accumulated four feet of snow on the ground. Elves were furiously clearing paths in the cobblestone roads to keep things moving. Finally at 12:00 Noon the music began playing at the church as Santa, and Claude stood smiling at the altar. Before them stood the Angel Marcia taking physical form while holding a Bible. The wedding march began to play, and the exquisitely lovely Holly came down the aisle arm in arm with her proud Father Daniel. Santa still had a few magical connections, and was able to get Holly’s parents to North Pole City in the nick of time! Holly’s Mom, Janey McBride, sat in the front row with a little Elf in her lap. The church was packed to capacity for this joyous event. Even the Reindeer managed to squeeze into the pews with hay sprinkled below. Jack Frost stood in the back of the church in the dark shadows just shaking his head in utter disbelief as what he saw as pure idiocy. The reading of the marriage vows was about to begin as Holly stood at Santa’s side. However Marcia said,”I was going to say how happy it is to see my Son Claude return to the light. I’m so sorry I was tricked into abandoning you as a baby. That being said however I’d like to know where my other son is?” Santa appeared puzzled, and said,”What are you speaking of Mother?” She then sternly replied,”You’re Claude, and what appears to be Claude is a philosophical zombie Glamour you created via dark magic. Clearly you haven’t changed, and are attempting to wrongly marry Holly!” At that moment the Claude Glamour vanished as everyone in the church gasped in disbelief! Holly screamed, and the Anti-Claus posing as Santa roared like a lion,”Dammit mother! You just can’t let me be happy can you! I’ll destroy this entire church If I can’t have her!” Holly stepped back from him in fear as he began reciting an incantation that caused several Demon apparitions to appear. Marcia was forced to retreat! She reverted to apparitional form before vanishing into a light beam above her! The Anti-Claus faced the audience, and yelled,”I may not be a Demi-Demon anymore but I still have powerful demon friends, and sweet loving dark magic on my side! I’m taking over here, and you will all serve me in my quest to finally bring Dark Christmas to the entire world!” Some Elves, and others attempted to attack but were easily repelled by Claude, and the demonic magic he channeled. 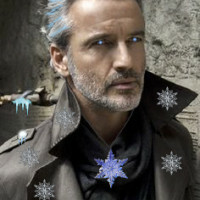 Jack Frost then stepped forward from the icy shadows, and angrily declared,”Nobody comes into my city, and makes demands! Leave now or I’ll destroy you!” The Anti-Claus cackled menacingly along with the transparent demons hovering amid metaphysical hell fire. 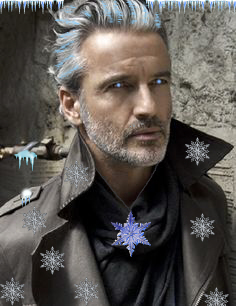 Jack then displayed a sinister smile, and said,”So be it!” He then shot a concentrated blue energy beam gleaming with white snowflakes, and ice daggers right at the Anti-Claus. His demon supported aura held off the attack while he exclaimed,”No silly Winter God is a match for my demonic minions, and I! My Dark Master the Devil will crush you!” Jack countered,”You’re probably right! So say hello to my Ice Demon friends!” Ice Demon apparitions appeared about the church in vapors of freezing air. Ice Demons are Fallen Angels who originally supported Lucifer, aka The Devil, during the Heavenly Rebellion that cast them all down to the lower dimensions of reality. However they felt sorrow for being thrown out of their eternal home of paradise. The Ice Demons attacked the hell demons which are sometimes referred to as Fire Demons. A flurry of metaphysical energy rays shot about the chaotic church full of panicked people! Thankfully the battle was over within seconds as the church was laid to snowy waste. The smug Anti-Claus died due to multiple mystical ice dagger wounds caused by Jack Frost. Santa came running in just then hugging Holly before going to his fallen brothers side. Despite his dark deceptions Santa wept tears for his fallen twin. Even after his brother had attacked him, and then locked him in a walk in freezer. Jack Frost left at that point, and the snow storm finally ceased. Santa then looked around, and realized numerous Elves, Reindeer, and others had been seriously injured or died. Most shockingly Holly’s Mother had perished, and her Dad was mortally injured with little time left to live. The protection spell on North Pole City was no longer in place. Santa no longer had the ability to heal, or turn back to time to fix any of this. He prayed, and pleaded to his Father, Mother, and every Angel in Heaven. Even the Omniverse God himself. His Mother sent a brief psychic message into his mind that she was banned from returning, and wasn’t even allowed to perform the wedding ceremony to begin with! What was to be the happiest day of his life had become an overwhelming tragedy. Things turned worse when Holly looked down at her abdomen, and saw blood. She had been unknowingly wounded by some manner of metaphysical energy burst. Santa, and Holly cried amid the destruction in what was then the saddest place on Earth! Holly eventually passed out in his arms, and he placed her gently on the floor. With all hope seemingly lost Santa Claus inexplicably left the church without saying a word to anyone. He made his way to the sacred cave where the mystical Christmas Crystal was kept. The enchanted Abominable Snowman guarding it had abandoned his post. No longer under the spell of the Christmas Spirit. Actually he was chasing a group of Elves, who never made it to the church, through the abandoned snow ridden streets! Santa was hoping there was just enough Christmas Spirit, mostly the magical innocence of children, left in it to give him some temporary power. He held the Crystal as he entered his Father’s Temple, and knelt before the Altar to pray,”Oh Lord, Father, and Heavenly Angels why have you forsaken me? I have selflessly aided humanity, and never asked for anything in return until now. I’ve given billions of gifts over the years, and now when I finally want something for myself I am brutally punished! Despite your apparent abandonment of me I still have faith in all of you, and know this is apart of a grand Universal plan with an important purpose that eludes me at the moment. I forgive all you, and ask for your forgiveness of my own selfishness in wanting to marry the sweet virginal Holly. Amen!” Santa then stood aloft, dropping the Crystal to the floor, and crushing it with his foot. A surge of green energy flew up through him. Santa’s eyes glowed green as he made the first ever Christmas wish for himself,”I wish for everything to go back the way it was before my brother met Holly on that fated Christmas in 1792. I vow to never make contact with her ever again for all eternity. All I ask is that you keep Holly, and her family safe so I can keep my original pledge to them. I am in the service of the Holy Lord, and all who declare allegiance to him.” Jack Frost burst in at that moment screaming,”Nooooooooooooooo!” Father Time was instructed by the Archangels of Heaven to turn back time. He did so as Jack bellowed forth in disappointment at the loss of his new found power over North Pole City. 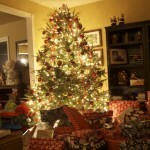 In the blink of an eye it was Christmas Day 1792 12:11 AM. Santa had his Angelic powers back, and North Pole City was a winter wonderland of enchantment once again. With his powers returned he had full memory of the horrifying alternate timeline, and raced toward Holly’s home in his sleigh. 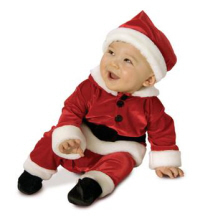 The Anti-Claus was approaching in his black sleigh of doom about to psychically detect the Baby Holly. Santa side winded up to the Dark Claus’s sleigh so close that he was able to slap Claude in the face. The purpose was to lure the Dark Claus away. Claude’s rage filled roar could be heard for miles away, and he chased Santa never learning of Holly’s existence. As a Demi-Demon he couldn’t remember the future alternate timeline. Only those with Angel DNA along with Father Time, and various Temporal Gods. Santa Claus eluded the angry Anti-Claus as usual, and Christmas 1792 was a supernatural success! However the next day Santa was sullen, and lonely as he rested in his favorite recliner in front of his hearth at Claus Manor. None of the Elves, or Reindeer could cheer him up. Not even his trusted Immortal Dalmatian Sparky who lie faithfully next his chair whining in shared sadness. Santa had always been happy in his mission of mercy, and magic. Unfortunately he had seriously lost something priceless. He now had to relive all those years knowing what he had lost, and would never have! Jack Frost paid Santa a visit. Jack was such an ancient primordial Winter God that he remembered the alternate timeline as well. He looked at Santa shaking his head, and said,”Welcome to my world Claus!” Jack referring to his cold hearted life that had brushes with warm melting love that never panned out. Santa’s Archangel Father Sarandiel visited him as well, and said he was proud of his son. However Saint Nicholas was quite apathetic, and didn’t seem to be in much awe of his Archangel father anymore. His Mother descended from Heaven to console him but Saint Nicholas was a broken man without the true Spirit Of Christmas streaming through him. A merciful memory wipe was suggested by the benevolence of Heaven. Santa refused to live in blissful ignorance! Christmas was never the same after that since the jolliest fella in the world simply went through the motions selflessly fulfilling his role to the world. August 24th, 1814 rolled around, and Santa made a point of causing a violent storm that spawned a tornado in Washington DC. He created it a bit early so the evil rogue Redcoat officer never ended up meeting Holly. Her, and the McBride’s survived the British siege. Despite never meeting Santa Holly still refused her arranged marriages as she felt something was missing in her life, and those affluent men would never make her happy. She was hell bent on being a spinster virgin! Saint Valentines And Cupids Of Love Demand Justice! Fellow Saint, and friend, Valentine marshaled a coalition of Cupid Angels on Valentine’s Day of February 14th, 1815. This coalition also included the Goddess Of Love Aphrodite, and her nature deity based Cupids. Together they partook of a campaign to spread peace, and love across the Earth in defiance of the Heavenly hierarchy that considered the Earthly Gods to be blasphemous. Almost in the same league as Demons but not quite. Saint Valentine, and the Cupid Angels considered Santa, and Holly one of their biggest failures! A fated union of epic love ruthlessly scrubbed from the face of the Earth! So they in essence threatened to take full control of the Spirit Of Love, and give complete power to various Love Goddesses. The Heavenly Archangels decided to tread lightly in the face of this overwhelming rebellion. They had learned a valuable lesson from the Devil’s Angel revolt millions of years earlier! They reluctantly responded by approving, and blessing the union of Santa Claus, and Holly McBride. Keep in mind this Heavenly hierarchy is a group of rigid Archangels while God, aka the Omniverse God, takes a neutral path to see various scenarios take place. Only the various Sons, and Daughters of God, such as Jesus Christ, actually speak with the Archangels, and lay forth general wide scope edicts. The Second Wedding Of Santa, And Mrs.Claus! At North Pole City Santa was taking a stroll with Rudolph The Red Nosed Reindeer down Candy Cane Lane. Santa’s Father attempted to appear first to tell his son of the good news but his Mother along with some Love Goddesses, and Cupids relayed to Santa that his ultimate dream was coming true. Saradiel then declared,”I’ve been authorized to return everyone’s memories of your interactions with the McBride family that took place before you came with her to North Pole City!” Thankfully this didn’t include the church massacre from the alternate timeline! Saradiel feeling guilty, despite only being Heaven’s messenger, went on to further reveal,”I teleported Holly, and her family here! They are waiting for you at Claus Manor! Congratulations, and I pray for your happiness my sainted son!” Santa replied,”Thank you so much Father! And you too as well Mother!” Santa whizzed home in three seconds, and when he opened the door there was Holly with tears of joy ready to hug him. She said she remembered everything but in reality she luckily didn’t! Someday he would reveal what actually happened to her. The Valentine’s Day Wedding Of The Millennium! A massive metaphysical effort was put in place make the wedding of the millennium a reality! 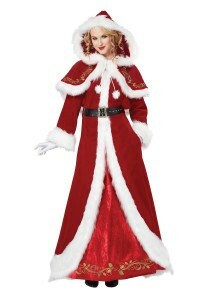 By 7 PM the future Mrs. Claus was ready for her Father to walk her down the aisle. 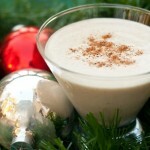 Santa put some thought into who should be his Best Man, and he went with Jack Frost. He believed it was important for Jack to take part in this ceremony of love, and happiness. Santa stood at the altar with Jack at his side while Santa’s Angelic parents stood before them ready to perform the ceremony in tandem. Holly’s Mother strolled down the aisle to stand at the altar as the Maid Of Honor. A tiny Elf ring bearer came running down the aisle with a huge diamond ring on a red silk pillow. In actually it was a chunk of the Christmas Crystal now restored to it’s full glory. He tripped, and fell before stumbling up, and scurrying to the altar amid laughter. Finally the music began playing courtesy of the Elf Orchestra At 7:15 PM Valentine’s Day 1815 Santa, and Holly were made merry Man, and Wife! Jack just shook his head, and muttered,”This is embarrassing for all concerned!” Mr & Mrs Claus celebrated their Honeymoon in an unimaginable higher dream dimension. A gift from Heaven for denying the Great Claus his soul mate. They wanted to have kids but Earthly Immortals like Santa can’t have children. As they looked for a way around this loophole Mrs.Claus chose to age normally as Santa had for the first 73 years of his life before his full Immortal Angel powers were activated. He chose to stay looking this way despite having the power to anti-age himself. He had the power to do the same for Mrs.Claus. Thankfully people age slowly at North Pole City so by the time the Heavenly hierarchy relented, and granted them two children she was still relatively young. Santa’s Son Nick Jr. , and his daughter Mary were finally born in the 20th century. Since the kids possessed Santa’s Angel DNA they are Immortal children. So they are enjoying the longest childhoods on Earth aging about one year for every decade. 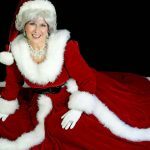 Becoming pregnant with an Immortal child caused Mrs.Claus to become Immortal as well! 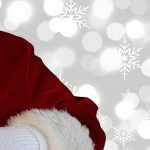 This entry was posted in Anti-Claus, Holly Claus, Santa Claus, Valentines Day and tagged Love, Mrs. Claus, Soul Mates, Wedding. Bookmark the permalink.